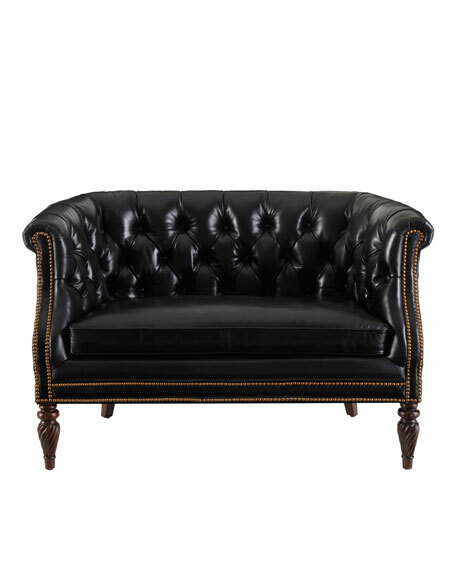 Cozy settee has a tufted leather back and beautifully carved front legs. 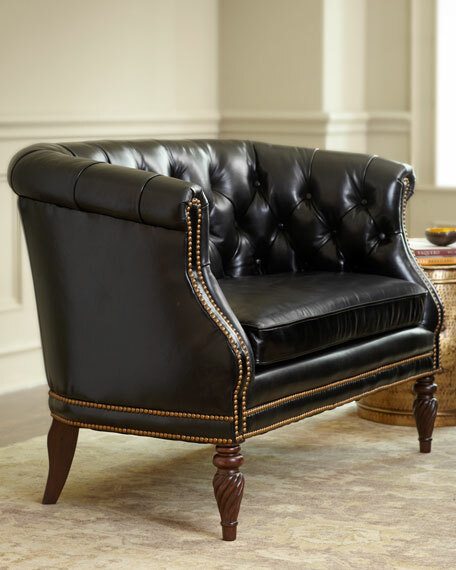 Handcrafted of hardwood wrapped in black aniline-dyed leather with brass nailhead trim. 51.5"W x 27.5"D x 34.25"T.